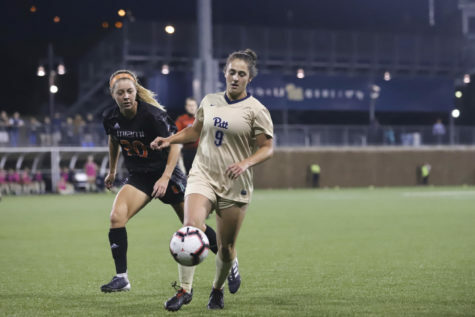 On a cold night at the Newton Lacrosse and Soccer Complex in Newton, Massachusetts, the Pitt women’s soccer team received no mercy from No.19 Boston College and were handed a devastating 7-0 defeat to end a tough season. The game was the 10th loss in a row for the Panthers (4-12-1) who lost all 10 of their ACC games this season. 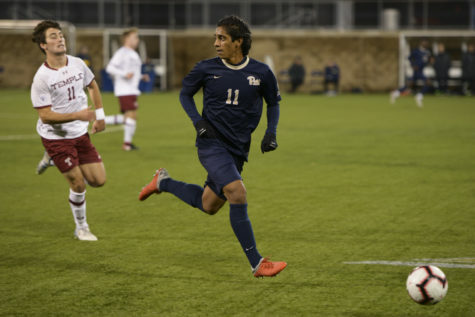 It was also another game where they were shut out, which was how nine out of 10 ACC games went this season for the young team and first-year head coach Randy Waldrum. Junior forward Olivia Vaughn started off the game creating the first two good chances for the Eagles. Her first shot was in the third minute, but it went right into the hands of Panthers’ first-year goalkeeper Katherine Robinson. She then made a great run through the Pitt defense in the fifth minute, but her shot ended up going wide right. 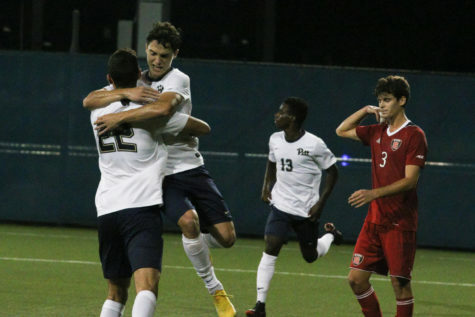 Boston College started their onslaught in the sixth minute as sophomore forward/midfielder Sam Coffey got the rebound from Pitt defender junior Cheyenne Hudson, took a touch and then smashed it. The ball hit right under the bar and then into the left corner to make it 1-0. 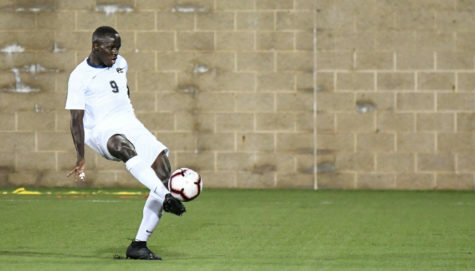 The Eagles got on the board for their second goal just two minutes later from a corner, as Coffey delivered it to redshirt junior midfielder Kayla Jennings in the eighth minute. 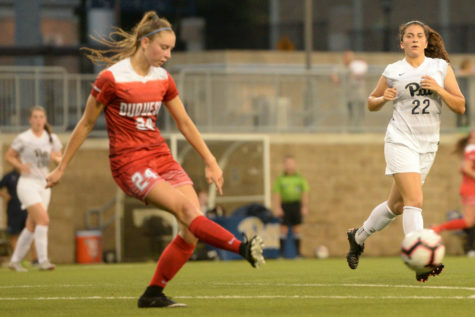 Boston College went up 3-0 in the 13th minute as Pitt sophomore midfielder Dixon Veltri tried to get the ball out, but it ended up at a the feet of junior forward Jenna Bike streaking up field. Bike passed it in to Coffey and she shot it, but it was blocked. A cross in the 16th minute saw Jennings almost making it four for the Eagles as she headed a cross from a long free kick by Coffey, just wide left. Coffey delivered another great cross to Bike, who was running in stride, but she couldn’t finish it off. Instead, it bounced off her in the box in the 22nd minute. Jennings got her second goal of the game off another corner in the 23rd minute as she headed home a line drive corner kick from Coffey to add onto the lead. The Eagles had two more chances with senior defender Elysa Virella shooting way wide in the 29th minute. Coffey went for a hat trick in the 34th minute, but her shot from outside the box went right into the hands of Robinson. 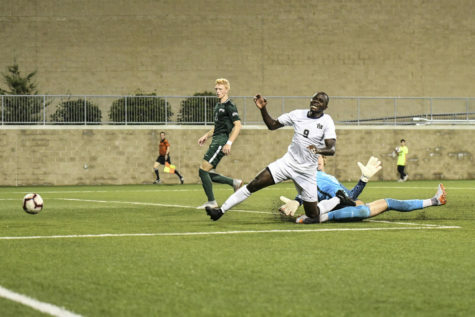 Robinson made a brilliant save in the 40th minute after a great offensive play by the Eagles. Coffey laid it off to sophomore defender Mia Karras, who put it across the box to senior forward Carly Leipzig. Leipzig took a shot right in front of the goal, but Robinson instantly reacted to stop the ball, leading it to the corner. Unfortunately on the ensuing corner, Karras found the ball from junior midfielder Emily Langenderfer and put it in to make it 5-0. 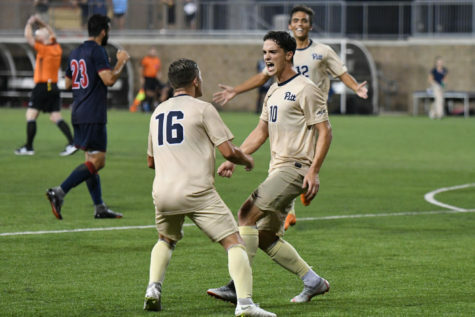 Boston College’s last chance of the half resulted yet again in another goal from a free kick in the 43rd minute. Langenderfer sent it into the box, where it was knocked down by Mijke Roelfsema, falling to Leipzig. Leipzig hit it past Robinson, scoring another goal, and taking the scoreboard, 6-0. Coach Waldrum decided to make the keeper change to start the second half as he took Robinson off for redshirt sophomore Amaia Pena. The Eagles kept moving offensively in the second half as they got two chances early. But they didn’t amount to much, with Bike rocketing it over the crossbar in the 51st minute and Coffey skying it wide right in the 53rd minute. 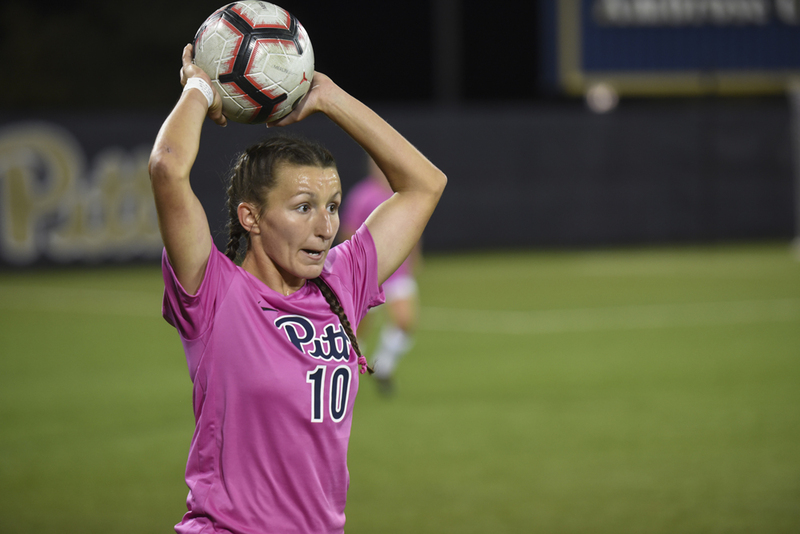 Pitt finally got a shot from first-year forward Anna Rico, who came close on a corner in the 61st minute, but it went wide left. She also had a free kick in the 63rd minute, but it went extremely high. Vaughn had a good chance to take the Eagles up to seven in the 62nd minute, but it went right into the hands of Pena. Bike made the score 7-0 in the 65th minute, as she delivered a great ground pass across the box to sophomore midfielder Jillian Jennings, who tapped it in easily. Bike also came close to scoring in the 67th minute, as she got a great ball from Virella and ran down the right-hand side of the field, cut in on her left and shot it right at Pena. Rico had two more shots for the Panthers as she was the lone bright spot on a team that was struggling mightily against the Eagles. 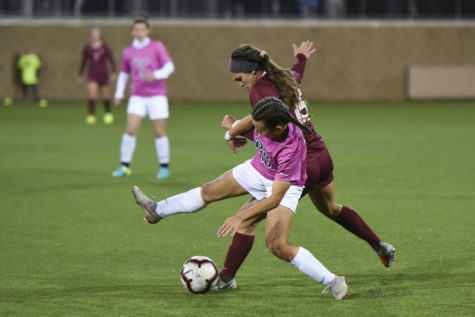 Her first shot was taken from far out and ended up going far left in the 79th minute, but her second was a well-taken free kick in the 83rd minute that saw an even better save by first-year goalkeeper Maddie Murphy, who pushed it out for a corner. 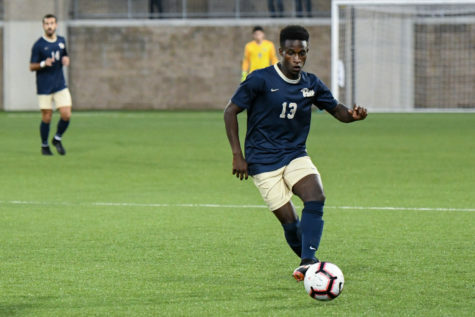 Pitt had one last chance in the 90th minute to get on the scoresheet as Taylor Pryce almost put it in after a bad play by the Boston College defense, but the opposing team was able to kick it out to keep the clean sheet. With the completion of this match, the season is over for Panthers, as they have fallen short of qualifying for the ACC tournament. 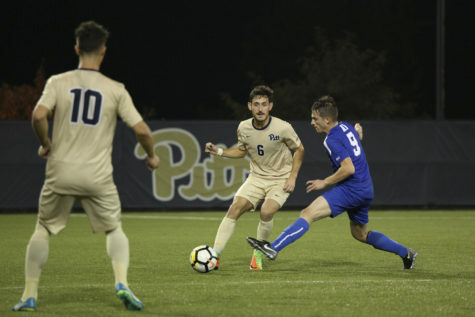 Despite the tough season, the Panthers should improve next year under Waldrum as he will continue to implement his ways, practices and improved recruiting into a program that is desperate for any type of success.